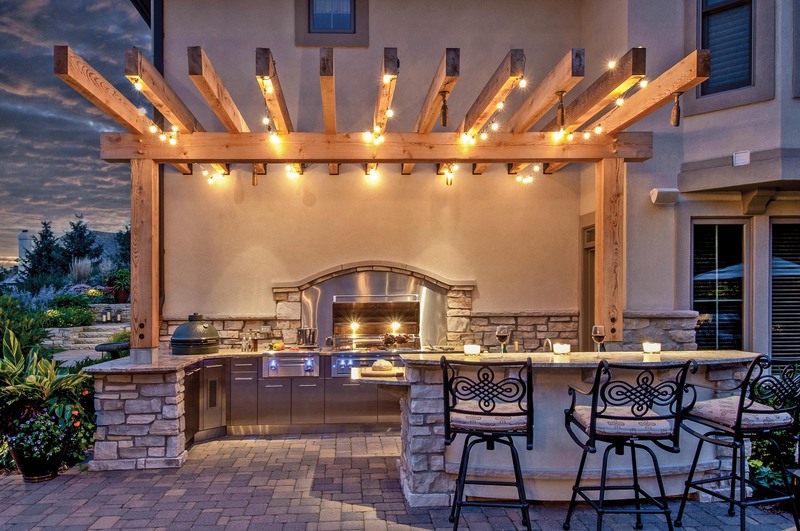 If you’ve been in the market for high-end outdoor kitchen items, it’s likely you’ve come across Danver Cabinets or Brown Jordan Outdoor Kitchens. However, you may not have realized that the companies are in a working partnership. We sat down with Mitchell Slater, president and founder of Danver Stainless Outdoor Kitchens, to explain what the pairing means for both companies and its history and continuing benefits. Danver had already been making kitchen cabinets for approximately eleven years when they first teamed up with Brown Jordan. Brown Jordan, predominantly an outdoor furniture manufacturer, was created in 1945. The company had an established presence in trade industries including builders, landscapers, and some architectural areas, and was prevalent in the high-end residential market. At the time, Danver was trying to break into that exclusive design arena, which was a new frontier for them. As Brown Jordan was teaming up with both architects and design firms, so too was Danver in their attempt to establish a name for themselves within hospitality and upscale outdoor residences. Partnering with Brown Jordan came to light as a way of adding interior designers and outdoor trade professionals with such design industries into their wheelhouse. In other words, the symbiotic Danver-Brown Jordan partnership empowered both brands to target even more industries simultaneously, and the relationship has become fruitful for both everyone involved. As Brown Jordan was getting more and more requests from architects and designers to create a brand outdoor kitchen, Brown Jordan eventually hired an intellectual property company to seek out potential licensees. These companies would work with Brown Jordan on a partnership basis to create that branded outdoor kitchen. 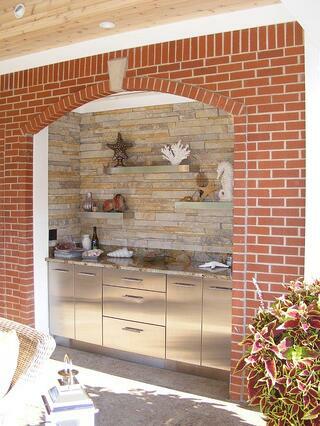 Danver Outdoor Kitchens and two other outdoor kitchen companies were interviewed to participate in this partnership. Danver ending up winning that license program due to a number of factors. For one, Danver was in the best position to provide the highest quality product. Finding success through their partnership with Danver, Brown Jordan has since established about five additional relationships with licensees to create even more products for the backyard space. For more information about Brown Jordan, Danver Outdoor Kitchens, or the specifics of their professional relationship, please feel free to contact a representative of Design Builders, Inc.